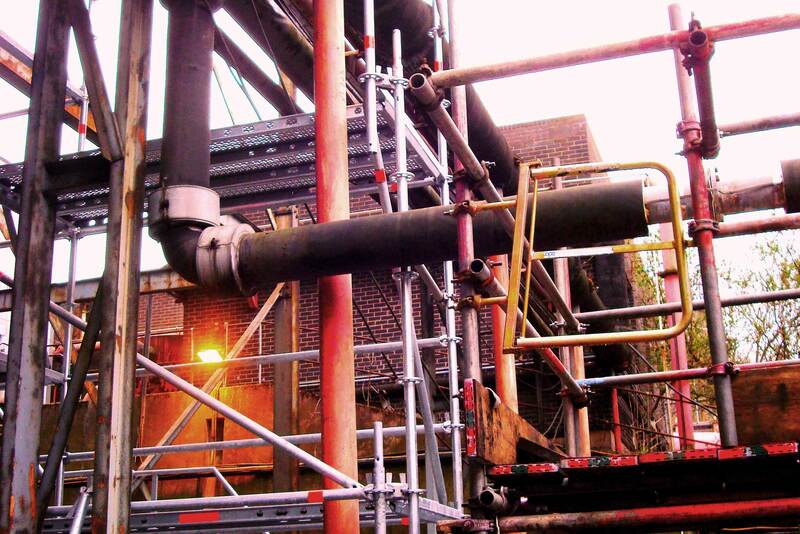 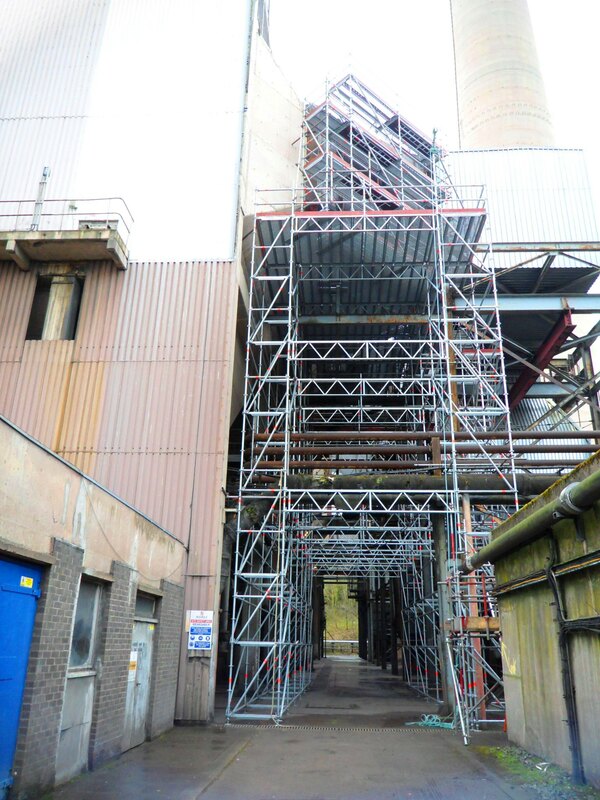 Time and manpower savings of some 50% compared with conventional tube and fitting scaffold, and the ability to maintain open access roads have been key advantages arising from the use of Layher scaffolding at E.ON UK power stations in Ironbridge and Connah’s Quay. 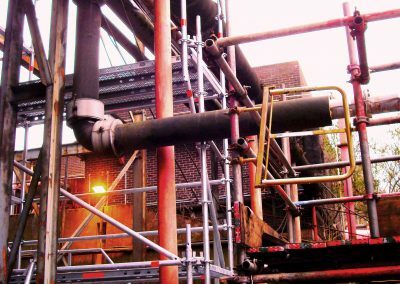 The work at Ironbridge, undertaken by Kaefer C&D, has provided access to the undersides of a precipitator during insulation repairs. 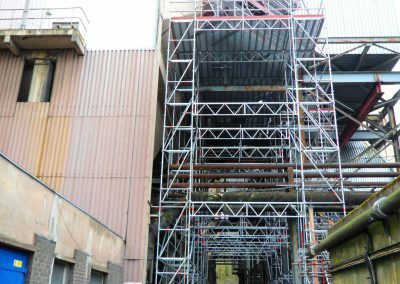 “The shorter time frame represented substantial cost savings for our customer whilst the design also provided the workers with staircase access and an excellent safe platform to perform the work,” comments Richard Llewellyn Operations Manager at Kaefer C&D. 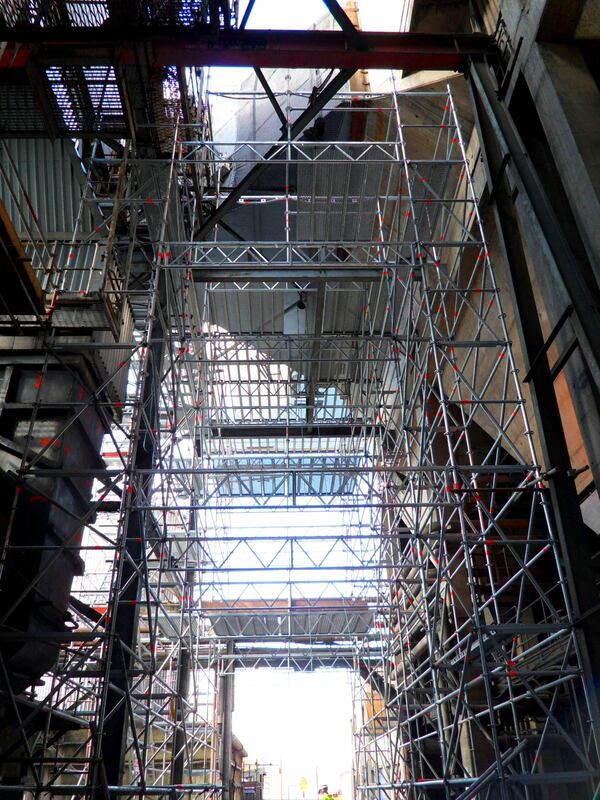 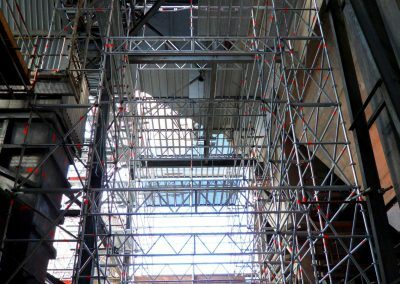 “The result was a 50% reduction in labour compared with conventional methods and we are now looking to enhance stockholding of Layher equipment to address further maintenance requirements at site,” he says.